Based on Munro Leaf and Robert Lawson’s 1936 children’s book The Story of Ferdinand, this gently subversive Madrid-set feature from animation studio Blue Sky and frequent collaborator Carlos Saldanha (the Ice Agefilms, Rio) follows an adorable, flower-sniffing bull named Ferdinand. “Is it OK if that’s not my dream?” the baby bull asks his father of fighting. When he discovers that he has no choice, Ferdinand scarpers, hoofing it to a flower farm, where he befriends a human girl and her shaggy sheepdog. Ferdinand’s passivity (and flower obsession) isn’t explicitly coded as queer, though the film hints that this might be the case. Either way, Ferdinand celebrates his mild temperament and non-confrontational masculinity, which remain unchanged as his bull’s body grows resplendently large. The adult Ferdinand (voiced by WWE superstar John Cena) ends up causing a ruckus at a local flower fair (and offers viewers a very funny scene in a china shop) and so is carted back to the ranch he came from. Other fun characters include a neurotic, calming goat voiced by Kate McKinnon, a trio of bitchy German horses with swishy pastel manes, and mischievous, pilfering hedgehogs Uno, Dos and Cuatro (“We do not speak of Tres”). Michael Morpurgo novel Kensuke’s Kingdom is set to become an animated movie from the makers of Ethel and Ernest and We’re Going on a Bear Hunt. Lupus Films previously brought Michael Rosen’s We’re Going on a Bear Hunt and Raymond Briggs’ Ethel and Ernest to the small screen, and now they are turning Morpurgo’s 1999 award-winning children’s book into a feature film. Speaking at the BFI & Radio Times Television Festival in London alongside The Tiger Who Came to Tea author Judith Kerr, Morpurgo revealed: "We are going to make a full-length animated film." The script is by fellow children’s author Frank Cottrell-Boyce. But though the movie has been a long time in the making, so far it exists only as a 55-second trailer. via Michael Morpurgo's Kensuke's Kingdom to become animated movie. Hynden Walch from Adventure Time and Shaun Tan consider the adult appeal of children’s entertainment. via Adventure Time and the appeal of the strange – The Drawing Room – ABC Radio National (Australian Broadcasting Corporation). “I’m utterly ashamed of this, but when I first saw Helen’s drawings, I had no idea what the pictures were to do with the story. “It was only when the book came out that I realised that in the greatest of children’s books, what actually happens is you start off with a situation where a parent is sitting with a child on his or her lap, they are sharing the book and the parent is saying the words, but the child is looking at the pictures. That said, the “pounding rhythm and repetition” of the words are signature Rosen, inspired by an American folk song he once heard and decided to adapt for performing at schools. Rosen, who turned 70 earlier this year, explains: “The thing that really caught me about We’re Going On A Bear Hunt is the repetition and how if you do it with young children they learn it as they go along. It was during one of these lively performances that David Lloyd, head of Walker Books, approached Rosen and asked him to write the children’s book, teaming him up with Oxenbury for the illustrations. The talented father-of-five was again approached for his script-writing skills in this latest film adaptation, in which he voices the bear and for which he has tweaked the storyline to show a relationship between the children’s grandfather, who has recently passed away, and the animal. We’re Going On A Bear Hunt airs on Channel 4 on Saturday (Christmas Eve) at 7.30pm. via Michael Rosen: ‘We’re Going On A Bear Hunt is utterly amazing’ | Jewish News. Anne Wood, who founded Ragdoll Productions, producing the popular Rosie and Jim, Brum and Tots TV, prior to Teletubbies, reveals that she “didn’t expect” the controversy that ensued, saying: “I was alarmed really and fairly nonplussed. It was quite harmful, some of the abuse. We got attacked in public. “I had to leave a party one time as a nursery teacher came up to me and was really abusive about the Teletubbies. I said to my husband ‘I don’t need to be subjected to that’. She said she had been a nursery teacher for 20 years, but I had been working in TV for years before making Teletubbies. “She thought I hadn’t done anything up till then and didn’t know what I was doing. 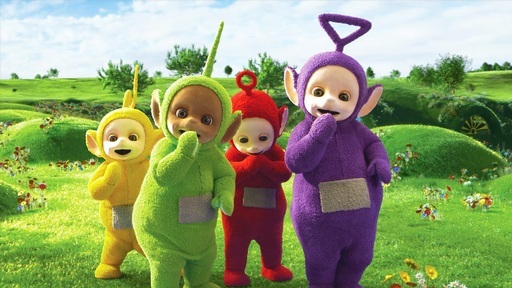 The decision not to use language and to weave repetition into the show was a bold move, with Ms Wood, admitting that Teletubbies was “the bravest thing I have ever done in my career”. Now repetition for young children is acknowledged as part of their essential brain development. A pattern of repeated activities known as schemas are recognized as a way of helping children understand the world and themselves. via Teletubbies was 'bravest thing I have ever done' reveals creator verbally attacked for 'dangerous nonsense'. Soprano Katherine Jenkins has realised her dream of working with her director husband, as the pair are bringing out a children’s TV series. Earlier this year, Jenkins told the Standard how she hoped to bring together her background and that of her husband, Andrew Levitas, to create something. Now the couple have found the perfect project, and today announced that they are busy on a new animated children’s show which will aim to spark youngsters’ interest in music. Called Symphony Street, it will follow a group of musical characters and feature music from all genres, chosen by classical crossover star Jenkins. via Katherine Jenkins and husband Andrew Levitas to launch new children’s TV show | TV | Staying In | London Evening Standard. 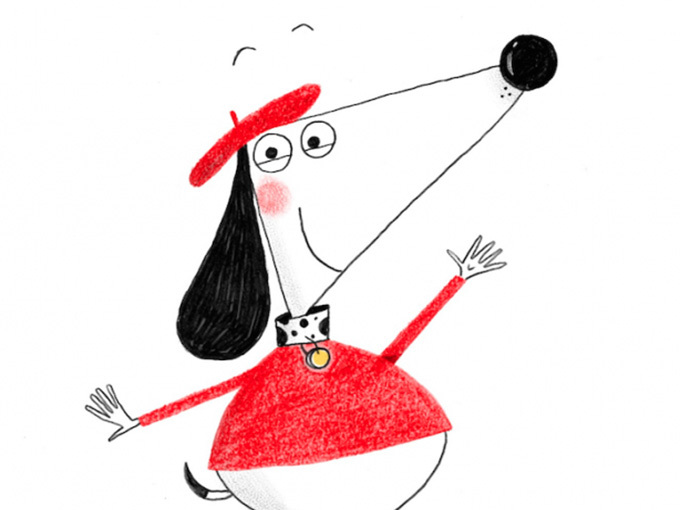 Sixteen South’s TV adaptation of Alex T. Smith’s bestselling picture book series, Claude, has been snapped up by Disney Junior for Europe, the Middle East, Africa and Australia/New Zealand. Currently in production, the 52 x 11-minute series is the BAFTA-winning and Emmy-nominated prodco’s sixth major kids project, following hits such as Lily’s Driftwood Bay and Pajanimals. Claude‘s broadcast premiere is expected in 2017. The series follows the adventures of the books’ popular beret-wearing canine, Claude, his trusty sidekick Sir Bobblysock, and other quirky characters like dance teacherMiss Highkick-Spin and hairdresser Belinda Hintova-Tint. via Kidscreen » Archive » Claude trots to Disney Junior EMEA.